DIMENSIONS: 9″ Wide x 11″ Tall x 1″ Thick, 31 oz. 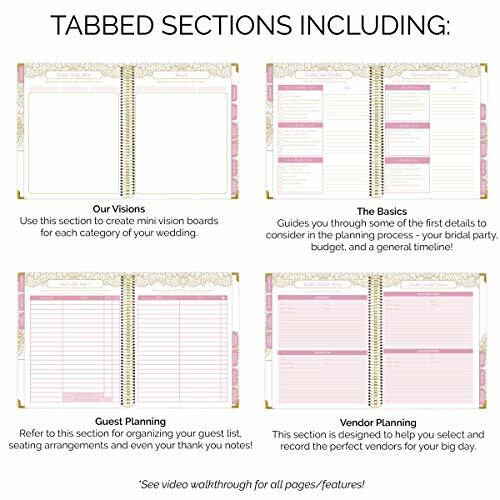 Tabbed Sections Including: “Our Visions” – A Section to Create Vision boards for Every Category of your Wedding. “The Basics” – All the Important Details in One Place! 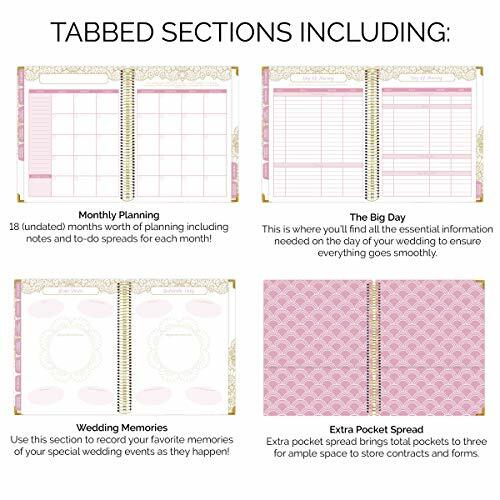 Includes Bridal Party Information, Advice from Past Brides, Typical Timelines & Budget Planning Tools. 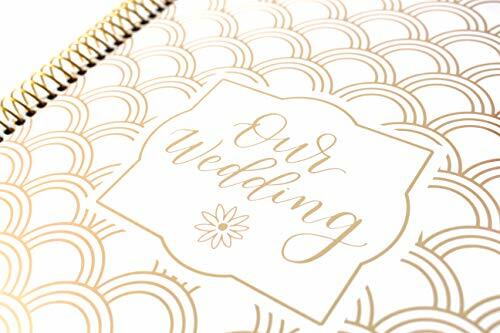 “Guest Planning” – Resources to Help you Plan your Guest List, Bridal Shower Guest List and Wedding Seating Charts. 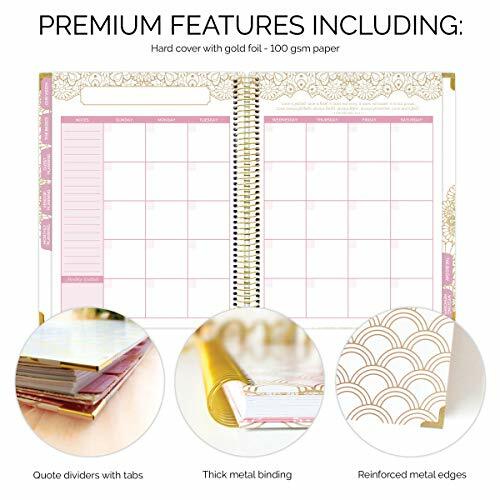 This Section Also Allows you to Keep Track of Gifts You’ve Received and if Thank You’s Have Been Sent! “Vendor Planning” – Ample Room to Log all Vendor Contact Information and Special Notes. This Section Includes Detailed Worksheets Per Vendor to Assist in the Selection and Planning Per Category. 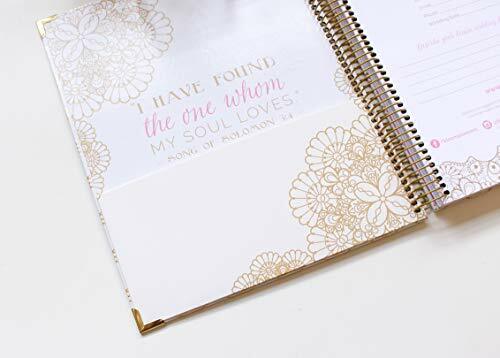 “Monthly Planning” – 18 Months of Undated Monthly Views, Featuring Love Themed Quotes, Notes and To-Do Lists for Every Month. “The Big Day” – Everything you Need to Stay Stress-Free the Day of your Wedding! 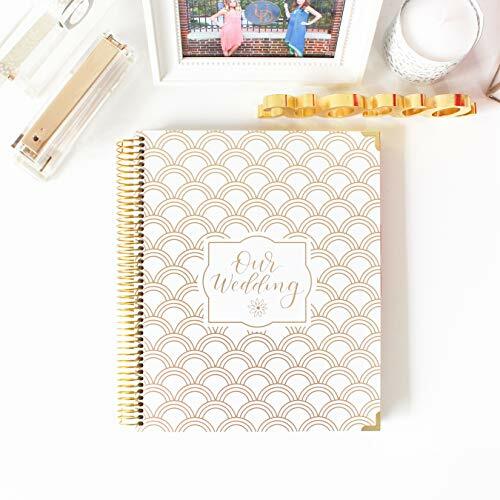 Day of Checklists and Down to the Minute Planning Tools Ensure your #bestdayever Runs Smoothly. 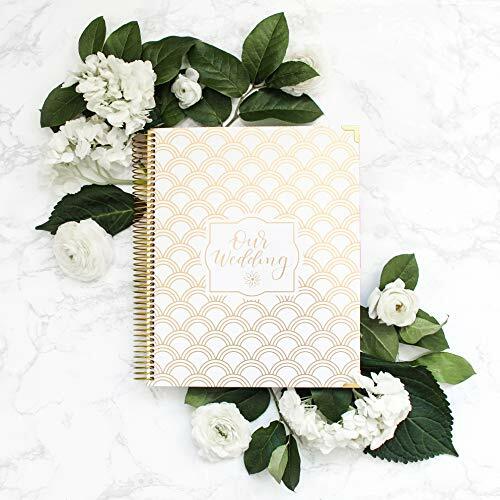 “Wedding Memories” – A Place to Record all of your Memories and Store Photos from Each Major Milestone, from your Engagement all the Way to the Reception! 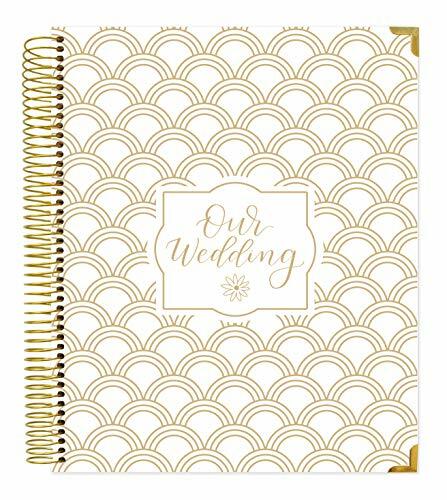 Check out Matching Wedding Items & More in Our Store by Clicking “bloom daily planners” at the Top of This Page!